I know that global trade is critical to raising many poor families out of poverty -- as in the Bangladeshi families noted above. But the economic model I want to see more of is one where strong local economies around the world are meeting people's needs in a sustainable and healthy way. 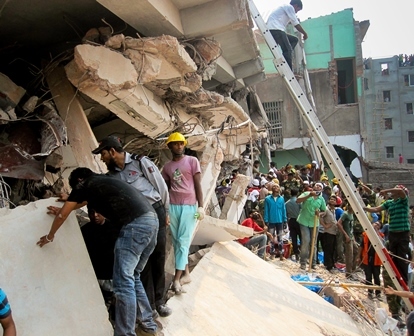 Three years ago this Sunday, the Rana Plaza commercial building collapsed in Bangladesh. More than 1,130 people died and thousands more were injured. Structural cracks had appeared days earlier, and those who had a choice would not enter the building. But many garment workers were forced to report for duty. In the three years since Rana Plaza, progress has been slow, but building inspections are happening and safety requirements are being implemented. And this past June the Rana Plaza Donors Trust Fund, which provides compensation to survivors, reached its goal of $38 million in corporate and other donations. To their credit, Canadian companies HBC and Loblaw both made contributions to the fund. The building collapse took place on the other side of the world yet in every way that matters, Rana Plaza was our own backyard. The workers there produced fast-fashion items for international brands, including Canadian and U.S. companies. I've purchased clothing for my family that was made in Bangladesh and similar low-wage countries. When I am shopping, I want to do what is good and helpful, but I know it's complicated. 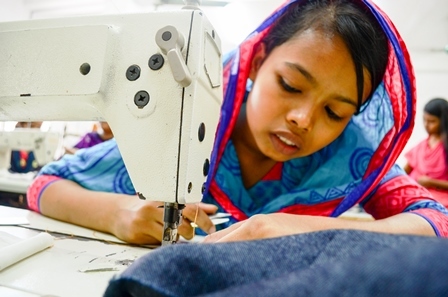 Despite low wages and insufficient regulation, the garment industry in Bangladesh has been the key contributor to a growing economy that has helped millions of families get their first foothold in the long climb out of extreme poverty. In 2013, Bangladesh exports were worth nearly $400 billion, having almost doubled in just four years. Garment exports accounted for about 90 per cent of that overall value. At the same, much of the work is too often unsafe and unfair. A study released just before the tragedy showed garment workers in Bangladesh to be among the lowest paid in the world. Their earnings, measured in real purchasing power, had actually declined two per cent from 2001 to 2011, to just $117 a month. For garment workers living near the capital city of Dhaka where most of the factories are, this kind of pay is not nearly enough to support a family. It's this kind of situation that forces children out of school and into the workforce. So, how can I be a more conscious consumer, aligning my values of caring for people and the environment with my purchasing decisions? As I ask this question, I am aware that research has shown that we can make consumer choices in a third of a second -- so I know that my decision-making criteria has to be simple and almost second nature. Here are four consumer practices I try to incorporate. I start by knowing I don't have to figure it all out myself! Having researched ethical certifications in my work with World Vision, I am confident that my values are reflected in those little labels -- like Fairtrade and Rainforest Alliance. I know, for example, that many of these certification programs, including the two named, prohibit the use of child labour. And I know that certified producers and workers are generally better off than they would be otherwise. A 2014 academic review of the empirical evidence around fair trade found that "Fair Trade farmers do on average receive higher prices, have greater access to credit, perceive their economic environment as being more stable, and are more likely to engage in environmentally friendly farming practices." The authors rightly note that the impact of fair trade is limited, compared to the size of national economies we're dealing with. For me, this is all the more reason to seek out those little labels, and help grow the fair trade way of working. Why would more companies go fair trade if no one's buying? Ethical certifications don't cover everything that I buy. In this case I default to buying less and buying local, where possible. Buying less means our family treads more lightly on the planet and resists a global economic system that is obviously broken. "Do I really need this or am I responding to a passing urge?" "Can I keep using, or repair, something I already have?" "Can I buy it secondhand -- saving an item from landfill and saving some cash for a better use?" Globally, I support this model through donations and advocacy. And at home I try to support strong healthy communities by making more of my purchases from local businesses. A study in British Columbia found that purchasing goods from local suppliers can have as much as twice the benefit for the local economy as buying from international chains. Being a conscious consumer doesn't stop at the wallet. It's a case of putting my mouth where my money is. Governments and businesses regularly hear from lobby groups and shareholders on what they value. When we speak up as caring consumers and citizens, they will also hear what is valuable to us. It takes courage to ask a retailer to stock ethically certified items or to ask government to do more to reduce child labour. But if I want to see bigger change, I need to also use my voice as part of my overall consumer behaviour. 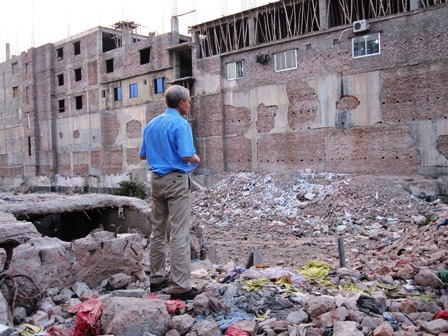 Rana Plaza was a half a world away, yet as near as the clothes we're wearing. Taking steps to be a more conscious consumer is one way to bring us all closer together. Ready to take up the challenge? There are a number of great ideas and tools to help align our consumer behaviours with our values. World Vision has gathered a number of these in a two-week Conscious Consumer Challenge as part of the No Child For Sale campaign. Who's Missing From The Bangladesh Safety Accord?